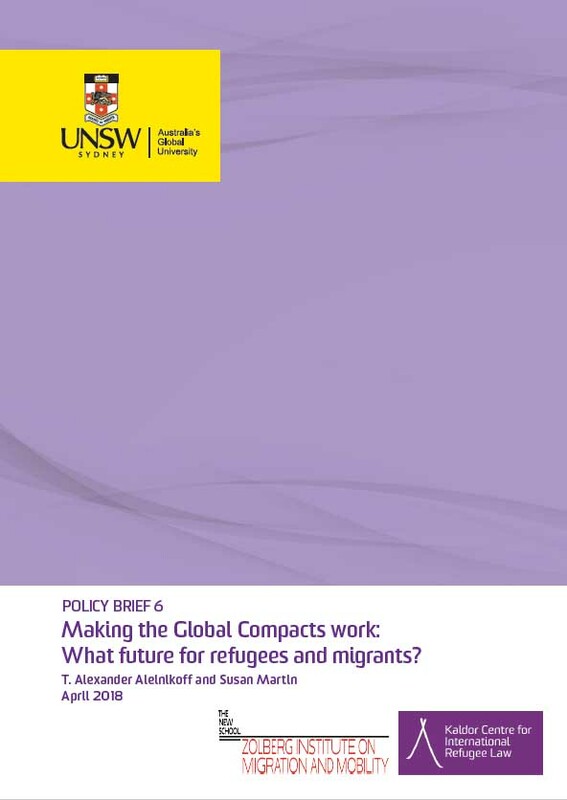 The second draft of the Global Compact on Refugees was posted today. Here is a summary of the main differences between drafts 1 and 2. The third formal consultation took place 10-11 April 2018. Here are the AHC's opening remarks and NGO statements. Additional statements can be found here. The fourth formal consultation is scheduled for 8-10 May 2018. The fourth round of Intergovernmental Negotiations on the Global Compact for Migration will be held in New York on 14-18 May 2018. No details have been made available yet. - Also available are a podcast and video of the event launching this new policy brief.